Happy Friday everyone... 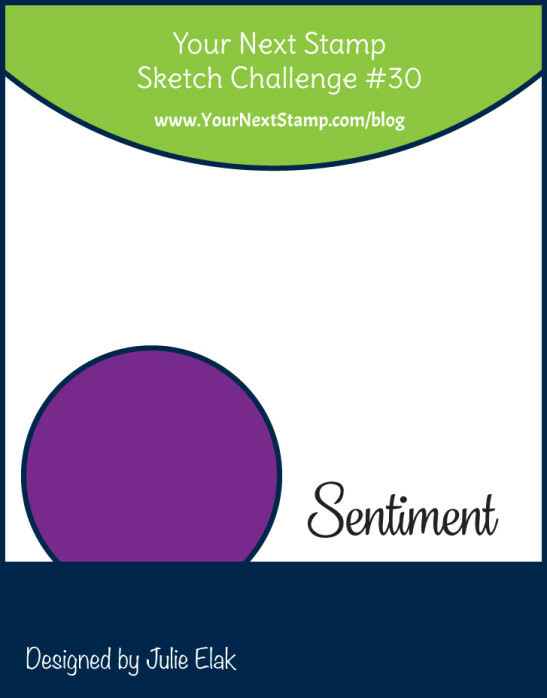 There's still time to join in the fun at Your Next Stamp and Challenge #30 for your chance to win a GC to the YNS store. 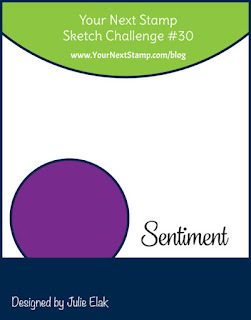 You can play along by using the Sketch or the Colors or if you are feeling really inspired use them both! 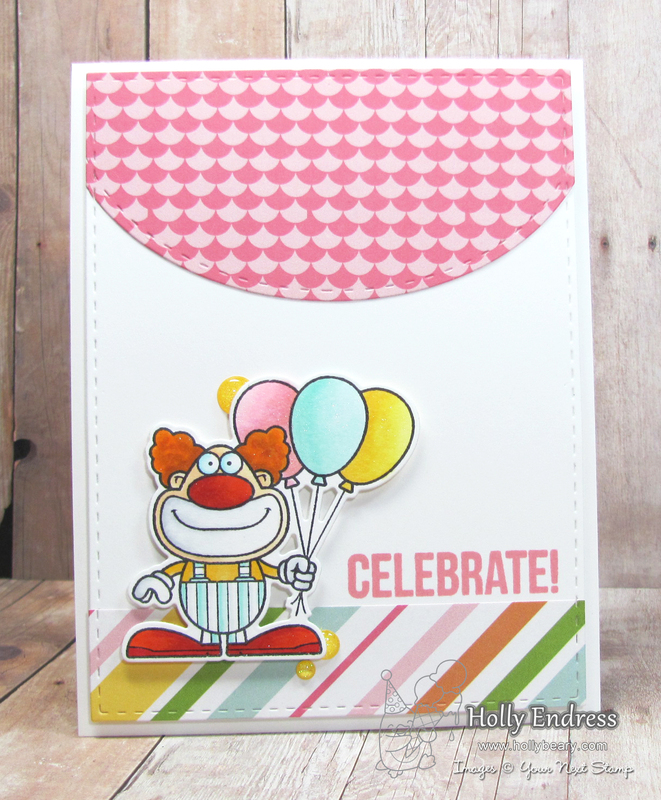 This week I chose the Sketch to work with.. and I'm pairing it up with the Clowning Around Stamp and Die set. 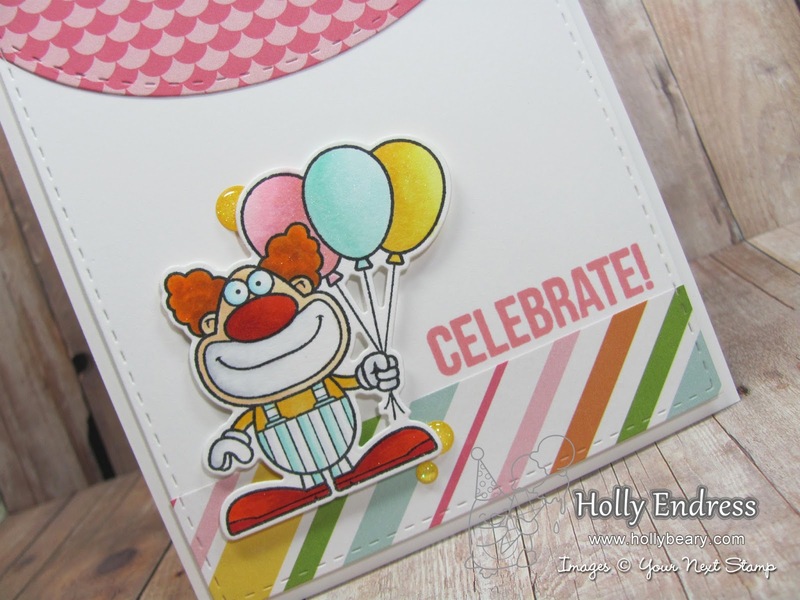 I started by creating a top folding White card base and then I added a layer of White card stock that I die cut with a Stitched Rectangle die. 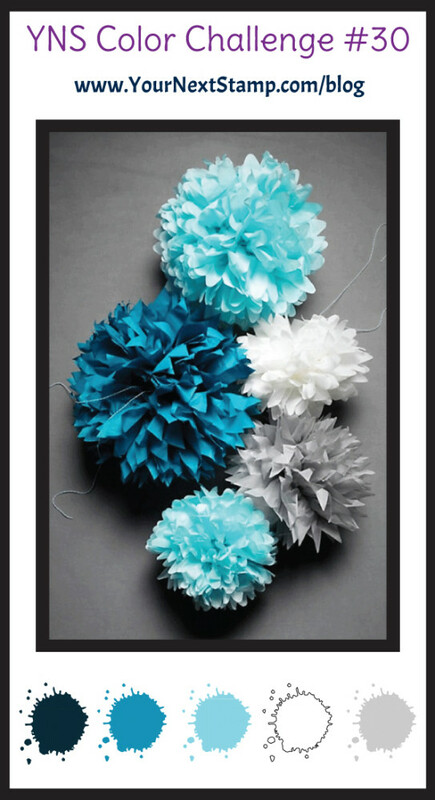 For the Oval shape I die cut some Pattern paper using the Stitched Ovals dies. Then I added a piece of the same coordinating paper along the bottom edge. 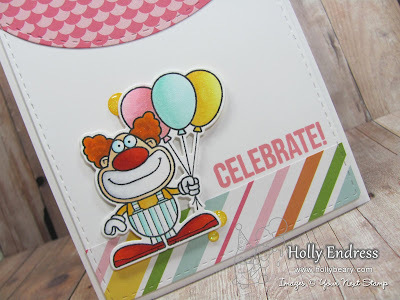 I stamped the clown image from Clowning Around onto some White card stock and colored it in with Copics and die cut it using the coordinating die. I added a touch of Clear Wink of Stella to parts of the image for a bit of Bling and adhered it to the front of the panel with some dimensional adhesive. I wanted an additional pop of color so I added a few Give Thanks for Sparkle gumdrops. Then I added the panel to the front of the card base with some Foam tape.. So cute!! Everyone knows I'm not a fan of clowns.. ha ha but the more I use this set they are growing on me. Well on paper that is! 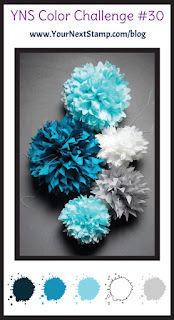 Head over to the YNS blog and join in the fun for a chance to win a $15 GC to the YNS Store.. and be sure to join us tomorrow for our January New Release Sneaks and Sunday for the New Release Blog Hop!